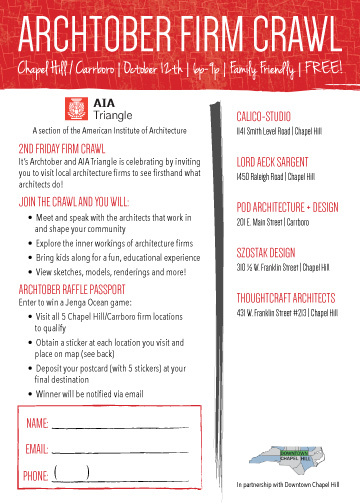 In October, the American Institute of Architects Triangle chapter is hosting Arch-tober! 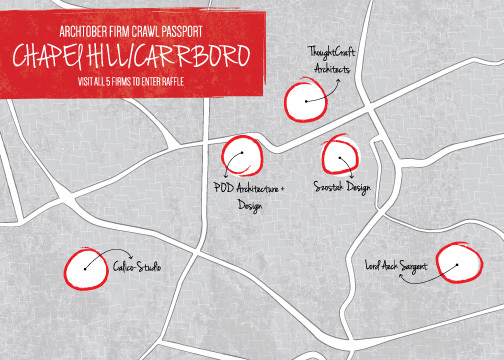 Visit architecture firms in Carrboro and Chapel Hill to discover more about the AIA and the local firms below. We have two firms without electricity and they will not be participating in the firm crawls this evening.